How many credit cards do you carry in your wallet? How often do you use each of them? Commerce has come a long way and the forms of “money” have evolved. The credit card has played an important role for people to shop more convenience and safer over recent years, however, it can be replaced to new payment service in the near future. Mobile payment is a burgeoning phenomenon in the world of retail and commerce. At the moment, mobile payment systems fall into two categories. One method is based on near field communication (NFC) technology. The other relies on magnetic secure transmission (MST) technology, which sends the payment card information to a magnetic card reader wirelessly, using magnetic signals. NFC is the most widely used payment system, however, it has a critical shortcoming—fewer than 3 percent of retail shops in the world have the NFC readers needed to support it. Despite the technology applying NFC for payment systems being a decade old, retailers have been slow to purchase and install NFC readers, even in Europe, where NFC cards and IC cards are more widely available. Without a doubt, its acceptance will spread, but the pace appears to be somewhat slow. On the other hand, most retail shops already have magnetic card readers, which are compatible with MST technology. So a mobile payment system that supports both NFC and MST would have the widest level of acceptance—and the only such service is Samsung Pay. Technology always takes time to be accepted. For example, HD TVs have been around for more than a decade, but there are still a lot of people who watch in standard resolution. As an engineer, I believe we need to follow the lead of our customers. We cannot force people to accept new technologies before they’re ready. Instead, we need to help ease that change naturally. Nowadays, we can find WiFi everywhere. But how many people understand how Wi-Fi works, or know the various standards? Most do not. What people care about is being able to access their email easily and safely. The important thing for consumers is convenience. Recently, one company released an application that shows users where they can use mobile payment services. In my opinion, that gets things totally backward it is a complete flop. People use mobile payment services where they shop; they do not go shopping to where they can use mobile payment services. Convenience drives consumer acceptance, not the technology. 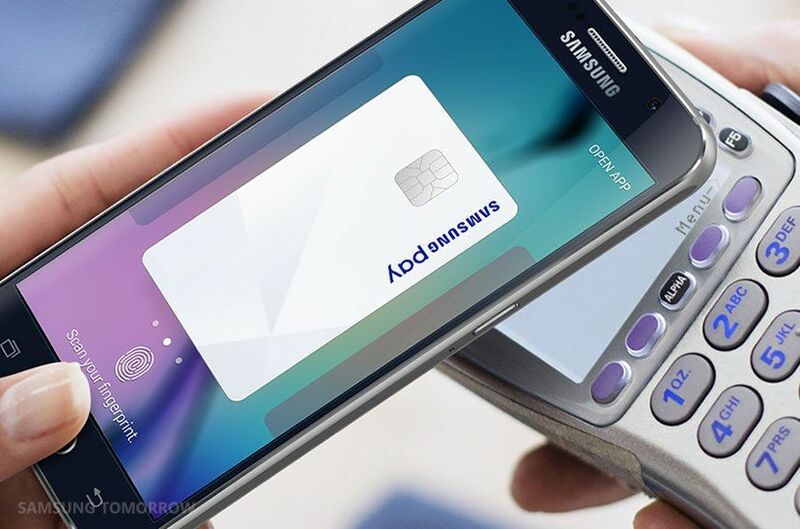 With this philosophy in mind from the beginning, Samsung Electronics applied MST technology to mobile payments together with NFC. I think debating which technology is better, NFC or MST, is pointless. What is essential is making mobile payment convenient for consumers, so they can pay for things without thinking about the technology. If consumers cannot use a mobile payment service in most shops, they will not use it nor accept it. Embracing a technology means being able to use it easily, anytime, anywhere. I have not used a plastic credit card in over a month. It’s so easy to pay for anything wherever I go, I don’t even worry about my credit cards anymore. I know I do not need them. Even if something did go wrong, finding a solution would just lead to better service, which is essential for mobile payments being accepted. The global average NFC penetration rate stands at 15 percent. Here is Korea, it is less than 2 percent. But because MST has a success rate of more than 80 percent, it is essential for today’s consumers. In the years to come, the number of transactions using NFC will grow steadily, but MST is going to continue to be significant in retail. Even after the percentage of shops using only MST drops to a small number, we cannot just ignore them. The right approach is to support both systems. Having conducted thousands of tests around the world, I am sure that Samsung Pay will be a success. It is a product that can change the market and provides real benefits to users. No, it isn’t perfect, but it works so often that I haven’t been tempted to return to my credit cards. Most people have the same thinking—they are not going to use mobile payments just for the novelty, but only if they are convenient. To ensure people’s security and privacy, mobile payments on Samsung Pay do not pass along actual credit card information. Instead, they use something called “tokenization.” Using a token means people’s information is encrypted using our propriety technology and kept secure. Even if a transaction was intercepted, all the personal information would be protected. Another benefit of using tokens is that it allows us to use the existing payment infrastructure that was developed for plastic credit cards. A token service provider (TSP) server performs the exchange between a token and the actual credit card number, so credit card issuers and merchants can just use their existing systems. Mobile payments can handle the functions of physical credit cards, but as they grow and develop, many predict they will bring deeper changes to banking, money and society. Mobile payments are more flexible than cards and can do more. In Korea, Samsung Pay enables you to withdraw cash from ATMs, allowing the service to also replace debit cards. They are always “on” and can also interact with the phone, offering credit card issuers new opportunities to connect with users and create additional services. This is the start of a real paradigm shift—but it all depends on people embracing mobile payment services. That is why I want to emphasize that convenience and ubiquity are at the core of technological acceptance. The arrival of new payment services is not far off and I believe that Samsung Pay will play a leading role in these exciting changes. And the root of all this is Samsung’s dedication to placing the needs of consumers first, so change can come naturally and conveniently.